The Delhi Capitals won the toss and elected to field first. Ishant Sharma started off with a wicket maiden, getting debutant Joe Denly off the first ball of the match. KKR recovered from there with a 63 runs partnership between Gill and Uthappa. One Uthappa got out, Rana couldn't get going as Russell once again for KKR had to bat well. Gill fell for a well made 65 from 39 balls and Russell was going strong. He went on with his usual style smashing 4 sixes and 3 boundaries to get to 45 off just 21 balls. Chawla finished with 14 off 6 balls to take KKR to a score of 178 and they would have felt that they were 15-20 runs short on that pitch. The Delhi Capitals batsman started with positive intent and got off to a flyer. Dhawan looked at his fluent best in this innings on a pitch that suited him. As Shaw and Iyer fell in the powerplay, the Capitals were still going at a great pace. Dhawan and Pant combined for a 105 runs partnership as more played sensibly and took risks when required. The KKR bowling looked below par and didn't put enough pressure on the batsman. As Pant got out for 46 from 31 balls, Dhawan was nearing a century. When Dhawan was on 97, and there was 5 required to win, Ingram smashed a six off Chawla to finish the game. Dhawan played a brilliant innings and should give him a lot of confidence going forward. The Delhi Capitals will be happy with their effort as they won comfortably on a pitch this team enjoyed playing on. The KKR however, in spite of not having enough runs on the board, didn't put up a fight on the field as they were not able to get wickets regularly. 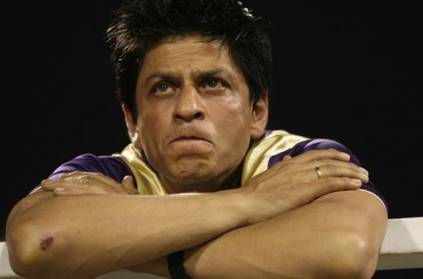 Shah Rukh Khan, KKR Owner, was not very happy as he felt they lacked heard, especially in the bowling. He felt that Ganguly being at the Eden gardens and on the winning side was the only positive of the match. This page contains news relating to various facts and events. The views are generally about current affiars and general topics in diversified areas such as political, international, national, and regional issues, sports, health, travel, lifestyle, technology and business. People having similar interets on the above topics will find this page useful. Dhawan helps Delhi capitals win over the KKR | Sports News.